Association of Science-Technology Centers – Proud Member. Lancaster Science Factory is a member of the Association of Science-Technology Centers (ASTC). Through the ASTC Passport Program, your membership card may be used at over 350 science and technology centers worldwide. 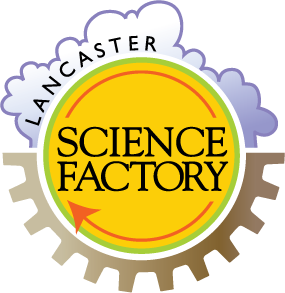 Click here to view a list of museums you can visit with your Lancaster Science Factory membership. *The ASTC Passport Program entitles visitors to free general admission. It does not include free admission to special exhibits, planetarium and larger-screen theater presentations nor does it include museum store discounts and other benefits associated with museum membership unless stated otherwise. *Each museum has a right to limit the amount of visitors accepted with another museum’s membership. It is recommended that you call a museum before your visit to learn about their specific admittance policies. 1. Based on your science center’s/museum’s location: Science centers/museums located within 90 miles of each other are excluded from the Travel Passport Program unless that exclusion is lifted by mutual agreement. 90 miles is measured “as the crow flies” and not by driving distance. Science centers/museums may create their own local reciprocal free-admission program. ASTC does not require or participate in these agreements or dictate their terms. 2. Based on residence: To receive Travel Passport Program benefits, you must live more than 90 miles away from the center/museum you wish to visit. Admissions staff reserve the right to request proof of residence for benefits to apply. To see a list of participating ASTC museums and to learn more, visit astc.org. *Certain special agreements apply. Call the Lancaster Science Factory for more information.